Cate Blanchett talks with The Irish Sun. OSCAR-WINNER Cate Blanchett wants a role in the new Star Wars movie — but only if she gets to film on Skellig Michael. World famous after playing centre stage in last year’s The Force Awakens and set to make a similar appearance in 2017’s follow-up, the Australian actress called the Kerry island “truly breathtaking”. And the 46-year-old believes a part in the Star Wars franchise will be her only chance to shoot on the fabled UNESCO Heritage Site — because nothing else will film there again. She said: “Isn’t it just the most awe-inspiring place. It’s like something out of a fantasy, out of the minds of the greatest artists. Truly breathtaking. Soaring out of the ocean. “Star Wars, I suspect, is probably a lot of fun. JJ Abrams is a gifted creator, I’d certainly be game. But it would have to be on Skellig Michael. No stranger to these shores, Blanchett played Veronica Guerin in a biopic of the slain crime journalist filmed in Dublin and Kildare in 2002. And so intense was her performance as the tragic reporter, she saw little of the country because of her unrelenting devotion to Guerin’s memory. Winner of two Academy Awards for Blue Jasmine and The Aviator, Blanchett is one of Hollywood’s most in-demand stars, with a string of new and upcoming films including Jungle Book: Origins, How to Train Your Dragon 3, an untitled biopic of iconic comic Lucille Ball and baddie duties opposite Chris Hemsworth in sequel Thor: Ragnarok. At the same time she maintains a home life with theatre director hubby Andrew Upton and their four kids — Dashiell, 15, Roman, 11, Ignatius, six and one year-old baby Edith. But Cate rubbishes claims of a perfect balance. In fact, the star admits she’s luckier than most working mums because acting allows her much more freedom to take care of her family. She explained: “It’s not the typical nine-to-five which can be so restrictive. “In this industry, you could be away for a of couple weeks — which is far from ideal — but then home for all the school runs, for all of it, for a long time, which is great. 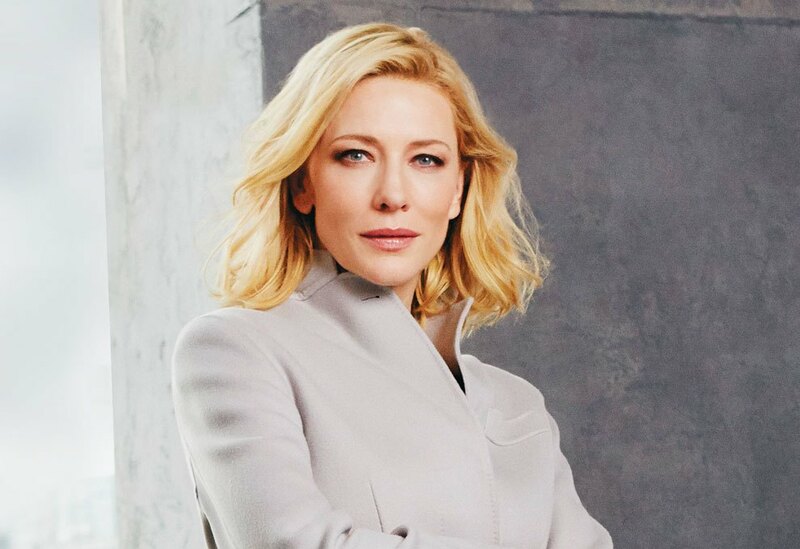 While hugely successful thanks to performances in Elizabeth, Lord of the Rings and Cinderella, Blanchett initially doubted her chances of making it as a movie actress. She said: “When I came out of drama school, I always thought my career would be in theatre. In her latest release, Knight of Cups, Cate is Nancy, a doctor and embittered ex-wife of Christian Bale’s screenwriter, who finds himself spiralling into an emotional crisis on reflection of his past relationships. Also featuring Natalie Portman and Antonio Banderas, it was directed by notoriously reclusive art-house filmmaker Terence Malick, who often cuts A-list stars out of his work. As a result, the actress worried about receiving the same fate. She said: “It was almost a religious experience crossed with philosophy, poetry. It was profoundly moving working with Terence. “He’s like no other. Sometimes there’s no script. He describes it as ‘going fishing’, where you turn up and improvise. He wants to see what happens and goes with it. Reportedly worth €35million, the actress has been careful of her words when referring to the gender pay gap row currently obsessing Tinseltown. Recently she said in an interview: “It just feels like the industry has the same conversation every year. We’ll be back here like Groundhog Day next year having the same f***ing symposium. It has to shift.” But she remains passionate about the increase of female moviemakers. 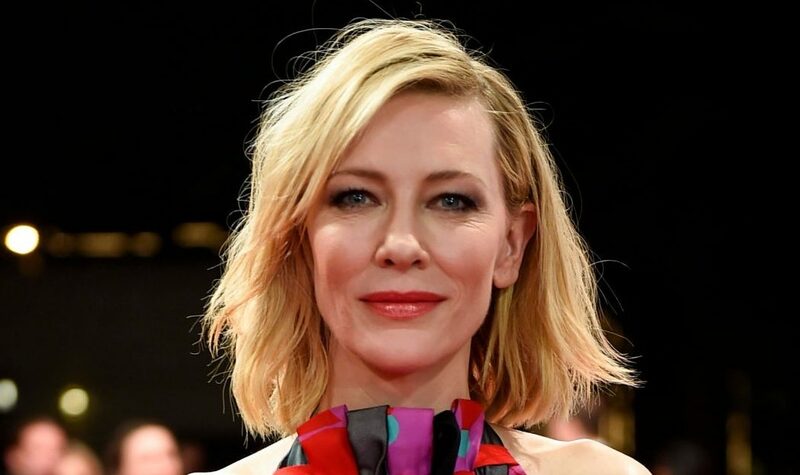 Cate remarked: “I think now, actresses are being very proactive in developing work, not just for themselves but also developing production companies to help facilitate the work of other women too. Away from her career and looking towards the future, Blanchett has some surprising life goals of her own. She laughed: “I feel like there’s so much I’d love to do, I’d love to become better at gardening.